The Silent Witness National Initiative invites you to honor Sheila Wellstone and her tremendous work in reducing domestic violence in our country. She was tragically killed in a plane crash with Senator Paul Wellstone on October 25, 2002. As of February 2014 we have distributed over 6072 shawls and scarves. This is an amazing project and it touches the hearts of so many people. If you or someone you know is a victim of or affected by domestic violence and would like to have t﻿he healing feeling of a shawl or scarf please contact Renee at falkum23@gmail.com. Together, we support domestic peace. If you have any problem accessing either group, please email Renee directly at falkum23@gmail.com. And, of course, if you know of any others who are interested in this work, please email and let us know so that we can contact them and invite them to join the new groups too. Thank you for helping build a strong network. 50 gm. Heather Mohair yarn, 5 skeins size 13 needles. (more yarn for larger shawls). Cotton yarn is fine too, for warmer climates. Gauge: 3-3 1/2 stitches to an inch. Minimum size 60" long by 24" wide without fringe. Pattern: We are grateful for any shawl that you choose to knit but we offer this simple pattern. Cast on 54, 57, or 60 stitches or some multiple of three. Knit three, purl three to the end of the row. Turn and knit the purl stitches and purl the knit stitches. A weave pattern will develop. Leave about one third skein for fringe. The fringe can be from three to nine inches, as you desire. The purpose of knitting a healing shawl is to weave good thoughts, healing, hope and love into the piece so it will comfort and warm the recipient. 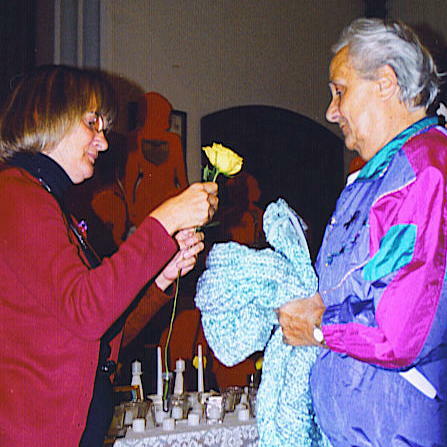 Be reflective or offer a prayer for the recipient as you knit; make this a peaceful experience. 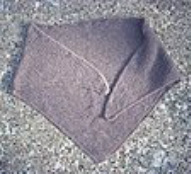 Here are instructions in Word format for a simplified version of this shawl. Click here to read the thank you messages from those who have received shawls. 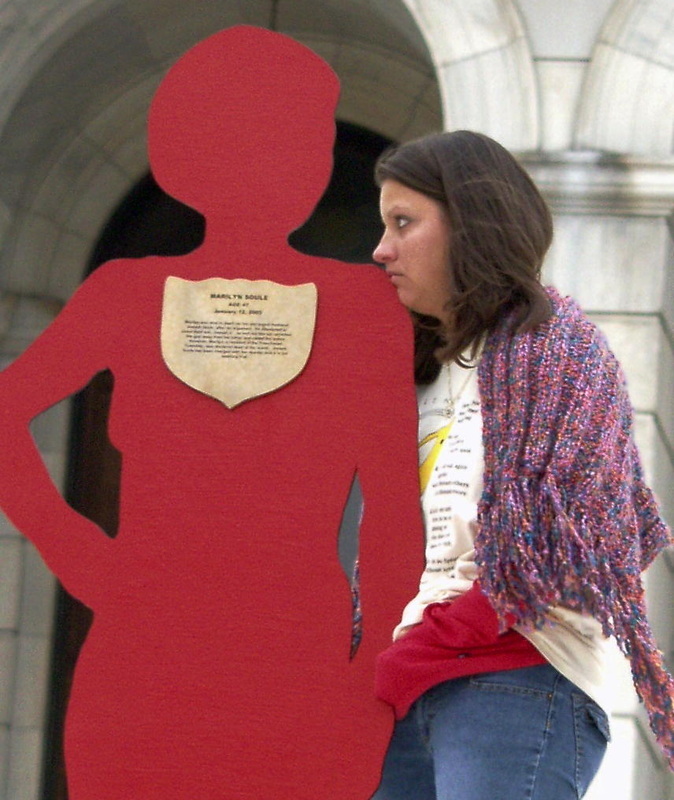 Remember Sheila by knitting a healing shawl for a mother or sister of a woman who was murdered in domestic violence. We welcome hand sewn shawls, woven shawls or embroidered shawls, whatever your tradition suggests. The idea is to send healing and good will into the cloth, yarn or threads so that the person feels it when they wear it. 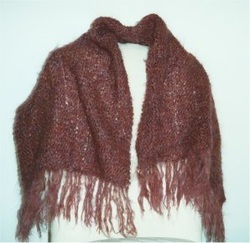 If you have patterns for other kinds of shawls we welcome them. We are grateful to them for their wonderful idea and hope to keep it moving forward by incorporating this pattern as one of our Sheila Shawl patterns. When you have finished your shawl contact your local domestic violence shelter or contact Renee Youngberg at falkum23@gmail.com for shipping instructions. Please make sure to Include your name and city and phone number. If you are able to send $10 for packaging and shipping of your shawl, we would appreciate it so much. Write the check to Silent Witness. Thanks again for your generosity in this healing project. Here are examples of notes that can be sent with the shawl and to thank those who made the shawl.